It was a pleasure to come back to Stanton in 2008 and discover that it really hadn't changed from eight years before. I had fond memories of this building. 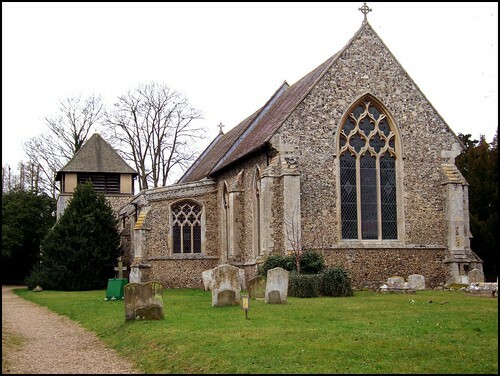 Suffolk has more than a few churches whose towers have collapsed over the years, but only one or two where this has happened in the modern era. All Saints lost its southern tower in 1906, and consequently we have lots of documentation and photographs. If it had happened a hundred years earlier, we would not have this evidence, and the Victorians would have built a new one in its place. This, of course, did not happen, which is unfortunate for the people of Stanton, but perhaps rather more interesting for the church historian. Of course, if the Victorians had done their usual job of rebuilding the thing in the first place, All Saints would not be the striking building which it is today. What makes All Saints even more interesting is that it was a southern tower which collapsed. 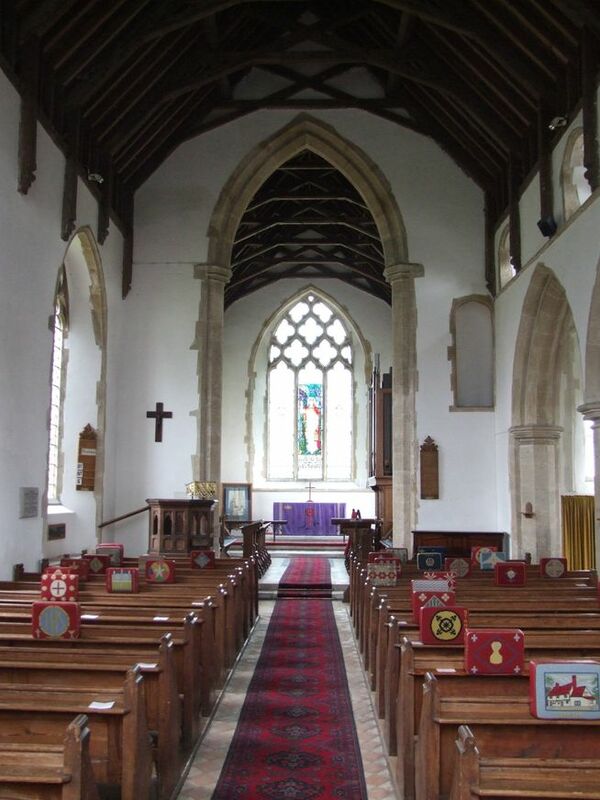 East Anglia has about fifty churches with these, and they double as porches. All Saints, rather curiously then, appears to have a south porch with a turret on top, which is incongruous, until you know the reason why. The large village of Stanton once had two parish churches. The other, St John, is now a ruin in the village burial ground. But it was once a more substantial church than this, which was the favoured of the two by virtue of its convenience in the village centre. 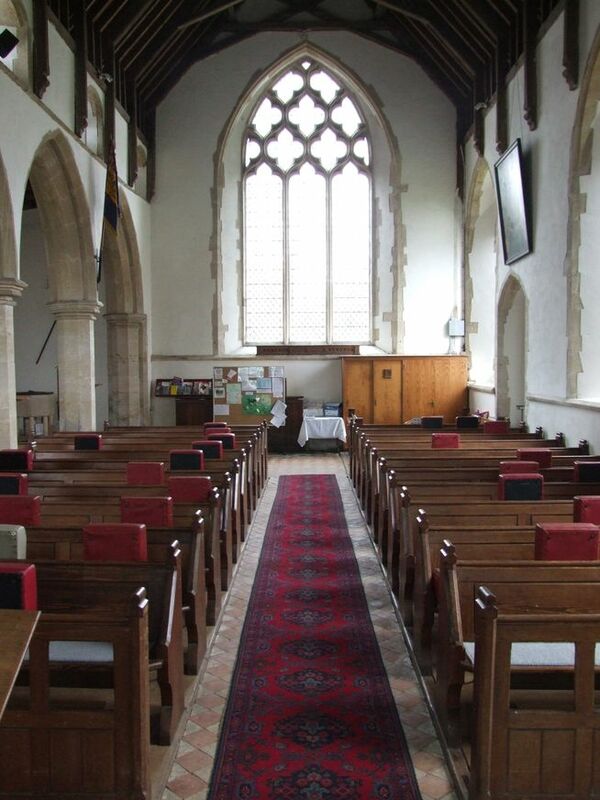 Internally, All Saints is not perhaps particularly exciting, although the 1870s restoration was relatively kind, and there is still a great sense of a rural, rustic space. 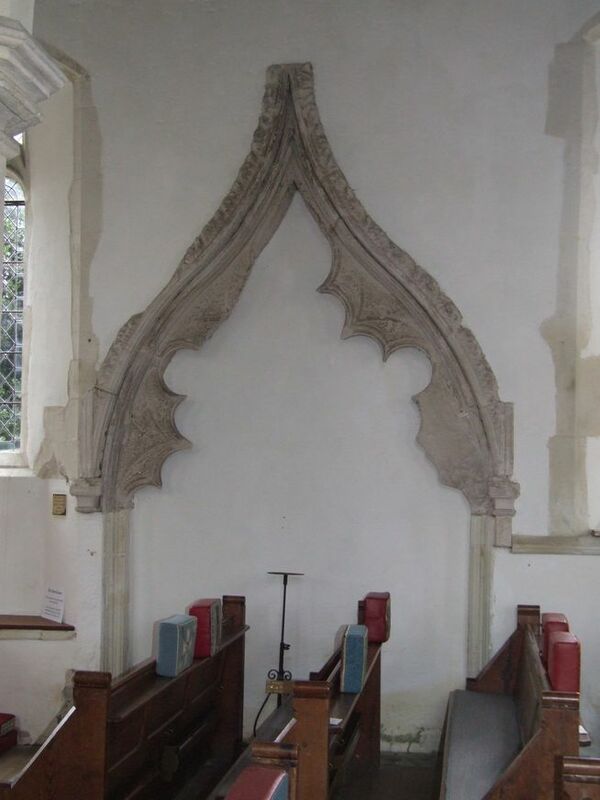 And the tall chancel arch is very elegant indeed. With the open rood loft entrance, you can easily imagine how it must have looked soaring over the crucifix. Roy Tricker credits the Victorian restoration to a Mr Markham of London. The parish could not afford to have the tower restored as well, which probably explains why it fell. To the south is the splendid late medieval arcade and aisle, with an original roof and a gorgeous tomb recess that climbs up to it. 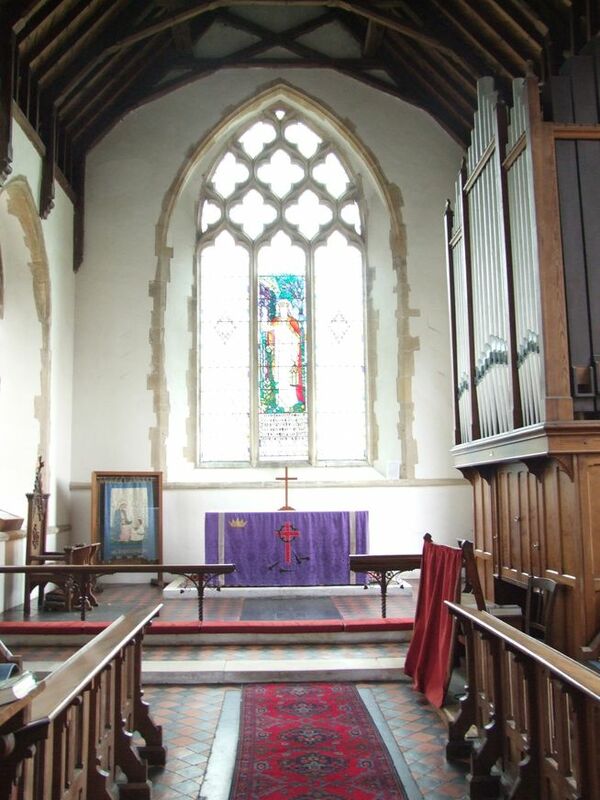 The chancel is also largely Victorian.There are little clerestory windows to the south, but generally this is a very light church, thanks to the clear glass that shows the decorated tracery to best advantage. A curiosity of the church is the east window. It depicts a version of Holman Hunt's The Light of the World. This painting was a great favourite of the Victorians, and you can find it in hundreds of English churches, but the representation here dates from as late as 1955. This was a particularly innovative decade as far as church art went, and the modernist glass in Suffolk churches which is contemporary with this window is some of the most striking and memorable work you will find in the county. How odd, then, that such a traditional image should have been installed here! I wonder if it replaced a Victorian version of the same image? The church sits on a little square, with a shop directly opposite. I can thoroughly recommend their home-made sandwiches. As I came out of the shop, I noticed a couple of so-called 'hoodies' sulking in the shelter opposite. Perhaps they were waiting for the bus into Diss. I couldn't help feeling a little sorry for them. Stanton is a remote village, and I don't suppose it is brimming with excitement. Whilst I recognise and warm to its sedate charms now that I am in my forties, I don't think I would have wanted to grow up in a place like this as a teenager. Even worse for them was something I discovered as I cycled up the long hill to Walsham-le-Willows and passed the windmill. At that point, my mobile phone emerged from the silence of the valley behind me reconnected itself to the outside world. The poor things can't even text each other.